Moonlight is a subtle investigation of a character's motivation to find love. It's about the constant struggle to find oneself while trying to fit right into the body we are supposed to be in. It's about not succumbing to being a product of the environment but rather being a product of yourself. It's about going past all the heartbreaks, questions, and complexities that bring you down and finally being able to find the voice you need and the listener who listens. 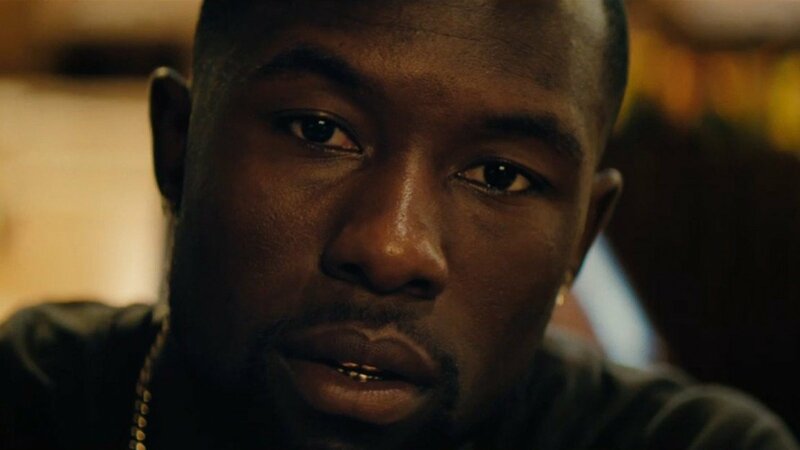 Barry Jenkins’s Moonlight is tender and powerful. All the emotions are carried over to you in a series of subsequent gaze while the gaps between words never seem to fill the vacuum they create. As heartfelt and real as Moonlight is, it’s equally poignant and poetic. Every single choice of music, every camera-placement, every character motivation feels so perfect that you can’t find a flaw in it. There have been films that question identity, that explores the early years of sexuality and films that expand on the horizon of what goes into the making of a man or a man’s man. Jenkins’s film is, however, beyond those literal definitions. It does something that hasn’t been done before. It strips down the very essence of a supposedly manly figurine at the center of it all and recounts the flaccid life of its protagonist from childhood through adolescence and eventual adulthood. Based on the play ‘In Moonlight Black Boys Look Blue’ by Tarell Alvin McCraney, Moonlight is structured into three sections named after the protagonist and his place in the world. Or to put it correctly – His name in the world. The first section named ‘Little’ explores Chiron’s (played by Alex R. Hibbert) early years. It recounts his school life. His lack of ability to connect with other kids as most of them bully him. Him running away from his home that doesn’t feel like one and his connection with a drug dealer (played by Mahershala Ali) who is the only father figure he has ever had. However, calling the drug dealer ‘Juan’ a father figure will be oversimplifying things. He is more of a healer, a patron who understands and sees a light in this quiet boy’s life. Something even he couldn’t see. The second section named ‘Chiron’ (played by Ashton Sanders) deals with the bullying in his life that has only intensified in comparison to before. His mother has gone deeper into drug abuse and Chiron doesn’t get a sense of belonging anywhere anymore. Even at Juan’s house, he is unable to face Teresa (Janelle Monáe). He is also dealing with his sexual awakenings which are uplifted by his only friend – Kevin (Jharrel Jerome). The third and final section of the film is named ‘Black’ where Chiron (played by Trevante Rhodes) is now a young adult. He is muscular and heavy which automatically takes us to the conclusion that he has finally gotten rid of the bullying in his life. But the consistent bullying in his head is still going on. The segment mostly deals with Chiron and his mother, while also bringing him closer to understanding himself as he drives down memory lane. Berry Jenkins’s approach to the material at hand is incredibly nuanced. Moonlight is a very quiet film. His protagonist is not very talky and is seen bowing his head in silence throughout. So Jenkins’s approach perfectly encapsulates the emotions of his characters in a visually striking mixture of images which speak every emotion. There are prolonged shots of his main character in the middle of the frame while everything around him moves in constant motion. Bringing the hidden feelings of alienation and melancholy to the foreground without verbally spitting them out. The whole film works in pairs of three’s and is therefore, a poetic rendition of a life that could simply dissolve in the ocean without any trace of its existence. There are three specific scenes in Moonlight which accurately lead us to what Chiron is and will be in the future. The beach gives Chiron a sense of relief but the most important thing that Jenkin immerses his film and his character in – is a longing for human connection. 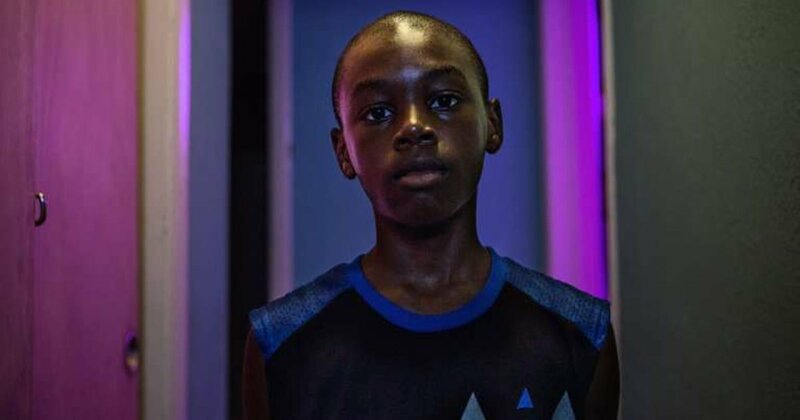 Moonlight greatly works because of its incredible casting. The three actors who portray Chiron in the three segments of the film perfectly bring out the stoic and emotionally closed-off feelings in Chiron’s character. The three actors have strikingly similar eyes and they express what’s going on with him with their mere gaze. They leave you with a kind of emotional ache that wrecks you into pieces by the time the film ends. Also, shout out to Nicholas Brittle’s breathtaking score that just uplifts the power of the film even more. Moonlight is a subtle investigation of a character’s motivation to find love. It’s about the constant struggle to find oneself while trying to fit right into the body we are supposed to be in. It’s about not succumbing to being a product of the environment but rather being a product of yourself. It’s about going past all the heartbreaks, questions, and complexities that bring you down and finally being able to find the voice you need and the listener who listens.